Well, I hope that the answer to this question is yes. 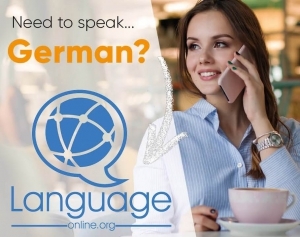 Anyway, I think you don’t have a choice, as you have already clicked on this article about German questions on language-easy.org! But, don’t worry. First of all, German questions are really not as difficult as you might think. And apart from that, I’ll try to structure this article in way that doesn’t make you suffer too much. So, German questions are of essential importance, especially in spoken everyday language. As in the English language, the usual sentence structure differs, when a question is formed. Furthermore, there are different types of German question. In the following, I’d like to clear up what the different types of German questions are. After that, we will have a look at the most common German question words and also talk about question words in combination with various prepositions. 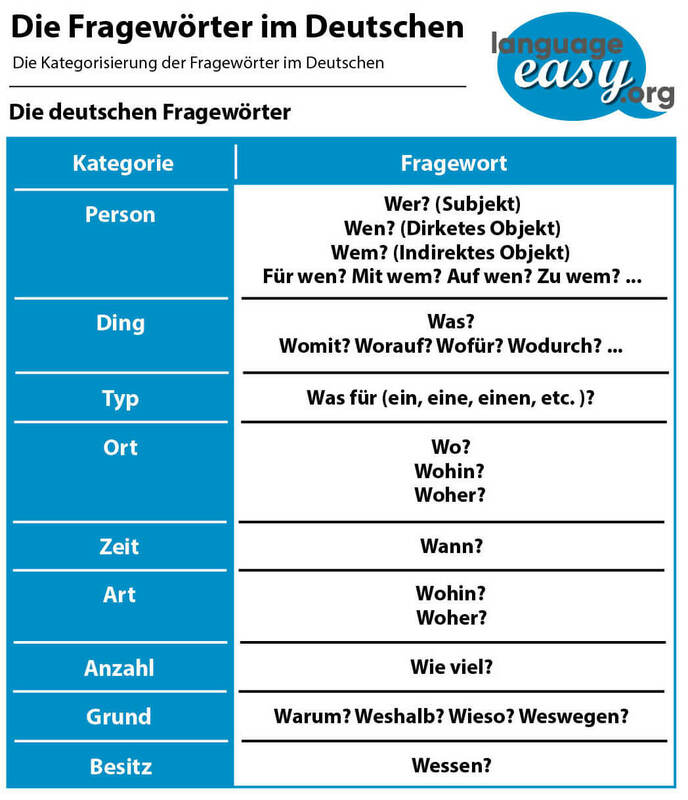 So, let’s not lose too much time and start straight ahead with the first part of this article about German questions. So, let’s start with a short definition about what a German question actually is. Of course, all of you know what a question is is, however it’s useful to have it defined clearly. A German question, also known as interrogative sentences, are used to get information about something. Well, there are two types of German questions: First, we have the closed questions, also called the ‘yes or no’ questions or Entscheidungsfragen. Apart from that, we have the open questions, also called the ‘w-questions’ or Ergänzungsfragen. Of course, the structure of each of these two kinds of German questions is different. Well, the closed German questions can simply be answered by ‘yes or no’. So, in these questions, the finite verb is in the first position of the question. And, after that, subject goes to the second position. Finally, the object, time, etc. come in the same order as they would in a main clause. So, this second type of German questions use an interrogative pronoun or a question word. Unfortunately, we can’t answer this type of questions by a simple ‘yes’ or ‘no’. Well, there is an interrogative pronoun that always has to come at the beginning of these sentences. The next to come is the finite verb and then followed by the rest of the sentence elements. So, keep in mind the the part of the sentence that we are asking about is replaced by the interrogative pronoun. Well, in case we are asking about an object with a preposition, the preposition come before the question word. And finally, in case we are asking about the subject, the finite verb takes the third person singular. In this section of the text I’d like to give you a short overview about some German question words. Of course, not all of them are part of this list. Well, as I have already mentioned, there are many more question words in the German language, not all of them are mentioned in this list. Actually, this question word can be compared to the English word what, which is also often combined with different prepositions. So, in German we just use the question word “wo” and add the prepositions. Well, the same is possible with the question word “was”.